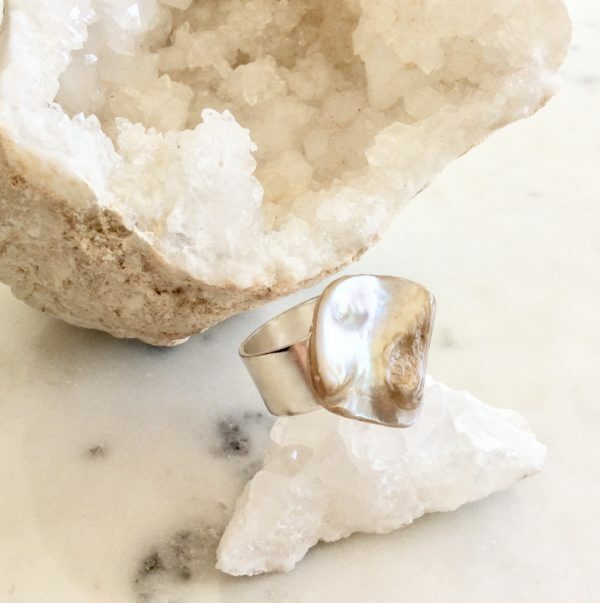 One-of-a-kind mother of pearl shell bead adjustable ring. 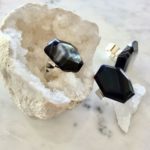 About product: Shop at Chelsea Bond Jewelry for collection of Maroma Rings, which is a mother of Pearl shell bead. The size of the ring is adjustable. Due to the natural shell materials, each ring is beautifully one-of-a-kind. 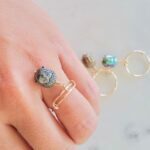 Shop an extensive collection of Maroma Rings, which is a mother of Pearl shell bead adjustable ring by Chelsea Bond.